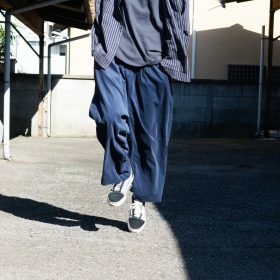 introduce PHATEEWEAR pants style on recent line-up. 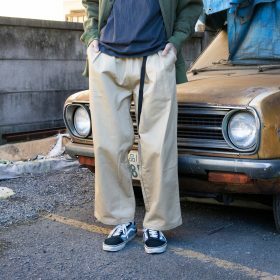 super fat pants with cropped length. smart back pocket doesn’t need lots of fabric. 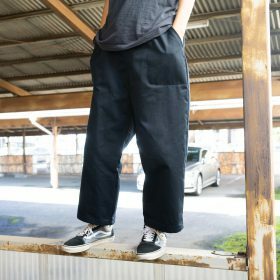 fat silhouette tapered easy pants. tide and release by waving tape . 2 sizes of back pocket. soft corduroy fabric makes feel free. fabric weist belt adjusts your wearing. 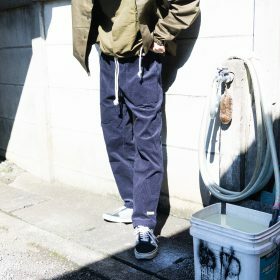 our standard pants with relax fit. natural cotton spindle in weist belt.